If you’ve got a big job to do that doesn’t involve a pickup truck, then chances are pretty good you’re in the market for a full-size cargo van. These vans offer excellent utility, but they’re not all created equally. The 2017 Mercedes-Benz Sprinter is a strong pick for a variety of reasons, and it faces competition from the 2017 Nissan NV. Find out which of these cargo vans gives you the better package for your business needs in the Burlington, ON area. The Mercedes-Benz Sprinter offers up best-in-class fuel economy with its standard turbo-diesel inline-four engine. There are no specific numbers available, because the government doesn’t publish efficiency results on utility vehicles of this size. But when you’re behind the wheel of a large vehicle, you want to make sure you’re getting the best fuel efficiency possible. The Mercedes-Benz Sprinter is adaptable to the precise specifications of your specific business needs, with a cargo bed length ranging from 349 cm to 492.5 cm and an interior height ranging from 168.9 cm to 197.6 cm. The Nissan NV only has a total length ranging from 304.8 cm to 382 cm and an interior height range of 141.7 cm to 195.3 cm. 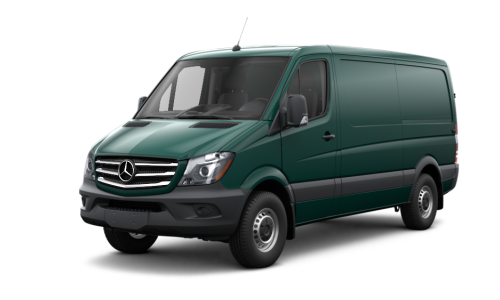 The Mercedes-Benz Sprinter also features a diverse range of cargo capacities, providing up to 530 cubic feet for the Sprinter Cargo Van 2500 High Roof – another best-in-class figure. 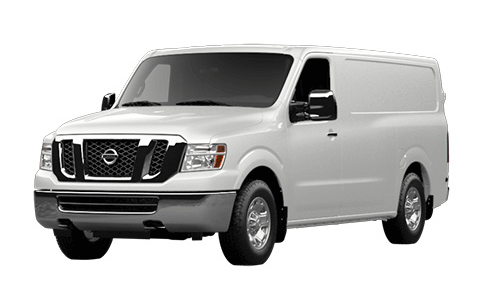 Compare that to the 2017 Nissan NV, which is a cargo capacity ranging from 234 cubic feet on the NV1500 Cargo to 323 cubic feet for the NV3500 HD Cargo. Whether you’re a contractor or a restaurant owner, there’s often a very real need for a high-quality work van. Before you choose the right one for you, make sure you do your research and take a test drive. Mercedes-Benz of Burlington has an inventory of new vans in stock right now, and you can come check it out at 441 N. Service Road in Burlington, ON. If you’ve got questions, feel free to call us at (905) 632-5222.